If you live in the UK you’ll have heard of Brian Cox – trendy physicist who’s made science and astronomy cool again. Recently he spoke about Mars, in particular billionaires investing enormous amounts of money with the aim of getting people on the planet, possibly within the next ten years. It sounds fantastic, the stuff of which movies are made but this could become a reality. Anyone who regularly uses the UK’s motorway network will know how hard it is travelling 40 miles. The thought of 249m miles to the red planet does seem a stretch too far. Thankfully there are those among us who have no limits to their imagination and thanks to them science and technology moves forward. If we look back ten or 15 years – the days our phones were just phones, we used paper maps and carried separate cameras – it’s clear how quickly we’ve come to accept technology and adapt to what it offers. How easy has it been to rely on the convenience offered by being online anytime we want, to get to places with ease and do simple things like book a film or our grocery shop in a matter of minutes? The medtech sector is no exception. Whether it’s materials, innovation in machinery and product design, the ability to drive faster and more efficient production or the introduction of digital technology into devices, the rate of change has been immense. Both the consumer and the manufacturer has come to expect high levels of quality and technology in their products. As wearable devices become a staple in our lives – be it for fitness of health – their functionality has developed significantly in the last few years. Healthcare professionals have to come to rely on connected devices to monitor and improve patient outcome and adherence. Meanwhile, from booking appointments, to ordering and administering medication, the patient expects to use digital systems. With this in mind, I hope that as many of you as possible can make it to the Med-Tech Innovation Expo in Coventry on 26 and 27 April. 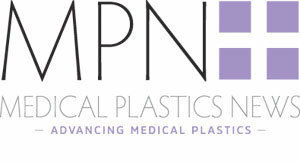 This is the only event in the UK that brings together technology, manufacturing and innovation from the UK and Ireland’s buoyant medtech sector, so promises to be packed with the latest manufacturing solutions as well as providing a great base to make new business partners and take advantage of the opportunities available by supplying the healthcare sector.